Have you baked with coconut flour? It took me a long time to give it a go. I’m comfortable using all varieties of gluten-free flours—brown rice blends, teff flour, sorghum flour, oat flour, quinoa flour—but for years, coconut flour recipes frightened me. Most gluten-free baking requires adjustments to traditional baking ratios (e.g., liquids, flours, leaveners, eggs) and, occasionally, the addition of obscure ingredients (think xanthan gum and guar gum) to make them work, but coconut flour recipes baffled me. A quarter cup of flour to produce an entire batch of muffins? A mere half a cup to make more than a dozen cookies? Successful coconut flour baking must require mad scientist skills, a sprinkle of fairy dust, or a magic wand, none of which I possessed. *As mentioned above, it is very easy to use. It’s tricky if you start free-styling, but if you follow recipes as written, you will soon get your bearings regarding proportions and how it works. *It is extremely high fiber. *It is very low in carbohydrates (Specifically, 2/3 of the carbohydrates are dietary fiber, hence they can be subtracted from the total). *It’s much less expensive than nut flours, and some other gluten-free flours, plus you only use a fraction of the amount of other flours so one bag lasts awhile. Most importantly, however, is taste. Perhaps there is a bit of fairydust sprinkled into each bag after all, because I have yet to eat anything but an utterly delicious coconut flour baked good from the recipes I’ve prepared. I’m talking breads, muffins, cakes, tortillas, and more. So now it’s time for me to start sharing because eating is believing. First up, a multi-purpose, one-bowl vanilla cupcake recipe free of refined sugars but with terrific taste and texture. I’m a sucker for a plain cupcake (perfect for lunchboxes), but a smudge of chocolate ganache and some sprinkles on top is just the thing now and again. Fear not the coconut flour, and enjoy the foray! Many more coconut flour recipes to come. IMPORTANT: Line 8 muffin cups with paper or silicone liners; spray insides of cups with nonstick cooking spray or oil/grease (to prevent sticking). In a large bowl, whisk the flour, baking powder, and salt until blended. 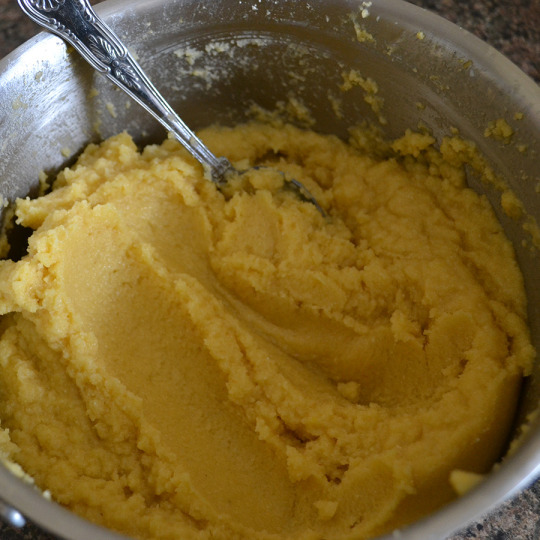 Whisk in the eggs, syrup, oil, milk, and vanilla until completely blended and smooth. Bake in preheated oven for 18 to 22 minutes or until golden and a toothpick inserted in the center comes out clean. Transfer baking tin to wire rack and cool 10 minutes. Carefully remove the cupcakes from the tin and place on wire rack; cool completely. Sore in an airtight container at room temperature for up to 2 days, in an airtight container in the refrigerator for up to 1 week, or freeze (unfrosted) for up to 2 months. I took a risk and made these for my roommates birthday party, even though I never baked with coconut flour before. They were amazing!!!!! She follows a strict paleo diet and she was so happy and that it was the BEST present by far. I cannot wait to try more coconut flour recipes (to use up my bagful of flour!) so I hope you share more soon. Thank you, Camilla! These were awesome! I’m not paleo but I like coconut! I was worried because my eggs were not room temp – but it worked out just fine! I love all your recipes!! I will most certainly be trying these tomorrow!! Also I am a huge fan of muffins (both savoury and sweet) and was hoping you could help me out with a basic coconut flour muffin recipe that can be used as a base for either savoury or sweet. I would be forever grateful!!! I am going to try this recipe with my favorite spices, and leave out the sugar. Then add my low sodium powdered chicken bouillon powder to it for a savoury bun. Can’t wait to taste it. Just stumbled upon your website looking for a recipe for Banana Bread using quinoa flour. (Found it – yay!) I am going to try this cupcake recipe using coconut flour for my son’s birthday party. You suggested chocolate ganache on top. Do you have a recipe you can share? Thank you and I look forward to trying more of your recipes. I’m not a fan of agave or any other liquid sweetners other than maple syrup or honey. Would you recommend either if those or a simple syrup made of cane sugar and water? If so how much sugar to 1/2 c water? What about orange juice or apple juice? TY! Hi I was wondering, can I use Egg beaters/egg replacement instead of using whole eggs or will it change the results of the recipe?? Hi Elizabeth Anne! I haven’t tried Egg Beaters/egg replacement in baking, so it’s hard for me to predict. However, the fat from the egg yolks are pretty key to the texture of the muffins–I would wager that you would end up with a muffin that looks similar but, due to the lack of fat, they would have a pretty rubbery texture. If you try the egg replacer, I would strongly suggest adding at least a tablespoon of some oil (coconut oil, veg oil, olive oil). Let me know if you try it! These were scrumptious! I brought them to a party and they were loved by each person that ate them. We all thought they rivaled the typical, common yellow cake mix… except they are much MUCH better. I’ll be using this recipe from now on! We all couldn’t get over how delicious they are. I used maple syrup as the sweetener. I’m thinking of baking them again and adding a teaspoon or two of pumpkin spice, just because it’s fall season now and I wonder if theyd taste like autumn! I am looking to add cocoa powder to this recipe to make them chocolate – have you ever done so? If so, any idea on how much cocoa powder to add?! I haven;t tried, but I’m curious to know how your experiment goes. Maybe 2-3 tbsp? I would add a bit of liquid (nondairy milk), too since coconut flour is already very absorbent. Thanks for the great recipe! Could coconut milk be used as “nondairy milk of choice”? Where is the recipe for the chocolate ganache? Does anyone have a paleo icing recipe? I would love to ice these. Any information on an egg substitute? Maybe apple sauce? I have a food allergy baby trying desperately to come up with a birthday treat! Coconut flour is pretty tricky (i.e., hard to make swap outs of ingredients without a lot of testing). Eggs are pretty fundamental to this recipe (and a lot of coconut flour recipes), but I’ll try to figure out an eggless coconut flour cupcake in the near future. I am really looking forward to making these. They look so easy and delicious. Yum! This is my first few weeks on a paleo diet. I love cup cakes and decided to try this recipe. It is absolutely wonderful. I melted bittersweet chocolate with a little coconut milk for the icing. My kids liked it too. I used maple syrup instead of agave nectar. So, so, so delicious…and easy! I made these for my son’s first birthday today. We all loved them. Oh, I am sooo happy to hear, Heather! Can baking soda be used instead of powder? If so, how much? Hi there, these look delicious and I’m hoping to make them for my mom’s birthday soon. I was wondering: Could I replace the eggs with flax seeds? Thanks! I’ve used flax seed replacement for a lot of baked goods, but never with coconut flour, so unfortunately I cannot advise. The eggs do a lot for the volume and texture–I’m not sure how they would hold up or rise without the lift from the eggs, but you could certainly give it a try! Could the same ingredient amounts be used for a cake? I was going to use a square pan. Yay!!! Seed free! I should be able to eat this recipe! Sadly, not the icing as cocoa is from a bean and thus a seed. :-(. I could do a lemon icing…. Mmmmm coconut and lemon! Sounds yum! Any idea if powdered stevia would work instead of agave nector or would that have a bad impact on the texture? Thanks! I think it could work, but you will need to make up for the 1/2 cup of heavy liquid from the honey/agave. I would recommend 1/2 cup of mashed super ripe banana, or unsweetened applesauce in addition to the stevia). Or 1/2 cup of coconut milk. Let me know! I think it should work–add some more milk to make up for the liquid from the agave nectar. It’s the first time I’m cooking with coconut flour and I think I am doing something wrong. I made these muffins but unfortunately they ended like an omelette with coconut flour on top. They are tasty but I don’t think I can give them to somebody else to eat. Did you have the same problem? Thanks! If I did liquid stevia what would my measurements be? I wish I could help, but I am not very familar with liquid stevia . This was my first attempt at using coconut flour. You made it a wonderful experience. I followed your recipe and it was great. My only problem was I hade my grandsons over to help bake. They always want to take home what ever we do to share with Mom & Dad, 8 would not be enough. I didn’t want to try doubling the recipe for the first time. So I used my mini cupcake tin 24 cup. It was the perfect amount of batter. They were so cute like pops almost. Used your chocolate recipe and even sprinkles. I did cut the cooking time down to 10 minutes. I took a picture for you, but it won’t let me attach it. This was my first attempt cooking with coconut flour. And with your great recipe it was a great experience. I had my 5 & 8 year old grandsons helping me. They always want to take home what ever we cook to share with Mom & Dad. 8 cupcakes would not do. I didn’t want to double it since it was the first time. So I used my 24 cup mini cupcake pan. It was perfect! The perfect amount of batter. I changed the cooking time to 10 minutes. I also did the chocolate and sprinkles. They looked like little pops. I took a picture for you, but it won’t let me attach it. Recipe looks amazing. I am wanting a sweetener free version. Any suggestions about replacing the half cup of sweetener with another wet ingredient would be extremely helpful – more coconut oil/milk perhaps? Hi Melissa! I have not tried it, but it would definitely be worth experimenting! I would definitely try mashed, super-duper ripe bananas (as in almost black skins) to replace the liquid sweetener. Are you open to stevia or stevia blends? If yes, use an equal amount of unsweetened applesauce in place of the liquid sweetener and add about 4 to 6 packets of stevia. Let me know how it goes! Hi Camilla, thank you for this great recipe. My family loves coconut flour but some are not good with eggs. I see that in earlier posts you had mentioned working out an egg free cupcake recipe using coconut flour and hopefully agave (we love that too!) and was really hoping that you had!!! I cannot wait to try it. I made these exactly according to the recipe and the flavor is very good. We enjoyed them, but they were dense & filling, which I think is just how coconut flour is. I piped on fresh whipped cream (flavored with maple syrup) and topped with sliced strawberries. Next time I’ll divide the batter 12 ways for shorter cupcakes and more room for topping. Thanks for a great recipe! Yay!!! So happy to hear, Toula! I would love to try this recipe and have 2 questions: 1) how much does 1/2 cup coconut flour weigh and 2) do you think I could make this recipe in an 8 x 2 inch round cake pan? Thanks! Hi Betty! I have not tried it, but it should work just fine! You’ll have to play around with the timing. I made these for my son’s second birthday (I feed him grain free and mostly natural/organic). I didn’t tell the guests they were made with coconut flour, and no one questioned them! I used butter instead of oil and just didn’t add any salt (it was salted butter). I used coconut nectar in one batch and honey in another batch (in place of the agave), and both worked out fine. I made 12 shallower cupcakes per batch and just used a greased silicone muffin pan so I didn’t need cupcake liners. Thanks for the recipe! So happy they were a success!!! I have had fun serving these to guests, too, without informing them of the coconut flour. Fun to watch the reactions upon the reveal! These look great! Do they taste like coconut? My hubby hates coconut and I recently tried another recipe, using this flour, and it tasted super coconutty. I love coconut and even I didn’t like it. Has anyone tried adding in blueberries or other fruit and making them as muffins? I made cupcakes and they were delish, I think muffins would be wonderful. Hi Rachel! I’m so glad you liked them 🙂 I have not made them in big cake form, but I imagine that should work out fine. I want to make these but my littlest guy hasn’t had eggs yet. Can I substitute flax/water? Made these for a birthday and they were awesome! I’ve been cooking gluten & dairy free for well over a decade but have never used coconut flour before (love coconut oil & milk though). This seemed like the perfect time to givr it a try! I tripled the recipe to make 2 dozen cupcakes and tweeked it slightly — reduced the sweetner, using 1/2 cup honey, 1/2 cup golden molassas, and making up the difference in liquid with 2/3 cup coconut milk. the batter was really thick and dark brown. The half of us used to eating less sugar thought they were awesome, the other half of folks thought they weren’t sweet enough compared to store-bought cupcakes (which I personally don’t care for as they taste way too sugary). However, we all agreed the texture was wonderful — not grainy like some gluten-free breads/cakes tend to be — and that with the molassas it would make the perfect base for spice cake, carrot cake, etc. I’m now making a second batch, more closely following the original recipe — no molassas, but slightly less honey than the full 1/2 cup — and I’ve added approx a half cup of finely chopped walnuts, dairy free chocolate chips, and dried dates. The batter is much lighter and fluffier. I squeezed it all into 6 lightly sprayed muffin cups, so they may be really big! They’re smelling delicious already! Thanks for posting this recipe, I am excited to continue playing around with it — next I want to try blueberry muffins! omg....is all I can say! I just made this and wow!!! so yummy!!! thanks for your post! OMG, I’ve had coconut flour in my pantry just waiting for me to find a good use for it. I tried making these today, and my super picky boyfriend even like them! These are delicious even without frosting at all! Thank you!!! Yippe whahoo! 🙂 Enjoy, Christal! Ok I must admit I was a bit skeptical, I mean, how could they taste good using Coconut flour? But I tried it and oh my did I eat my words, and nearly an entire batch of these cupcakes! I got so bummed as I accidently left them in the oven too long and they almost caught, so thought they would be dry but they were light and moist and awesome without any icing. Best recipe ever! I had just found a bag of coconut flour at the grocery the other day, and picked it up to experiment with, having no idea what exactly I would do with it. The next day my in laws threw a huge family picnic, so I decided to make a piña colada cake to take out with me. I doubled your cupcake recipe, and baked it in a cake pan. I added some shredded coconut to the batter, but it came out a little oily so I might need to add a tiny bit of extra flour or reduce the oil a bit next time, and I topped it with chopped pineapple and whipped cream. Everyone loved it, and wanted to know what was in it, and they couldn’t believe it was gluten free, trans fat free, preservative free, etc. I can’t wait to try more variations of this cake in the future. Thanks so much for the awesome recipe. A little tip on room temperature eggs is to stick them in a pot of warm water for a few minutes. I read this somewhere and do it whenever I bake (which was a year ago). Now with cold weather coming, I might get back into last year’s addiction of Paleo baking. Thanks for this recipe! Thank you so much for this recipe. I,am not a fan of coconut but I tired them anyway and they taste great, even my fussy kids snack them down. Yippee! Glad to hear it, Natalie! O my goodness! Made these and they get 5 stars! Easy to make and just delicious. Yippee! So glad you enjoyed them, Bernadette! Would this recipe work just as well to make a double layer cake? I would double the recipe, though. I have not done it, but it should work just fine, Meghan! I am SOOO glad you enjoyed them, Deborah! I am new to baking with non grain flours and many of my recipes have disappointed me, but this recipe has proven to be a keeper. I love these cupcakes. I did opt to use butter instead of coconut oil because I don’t like the taste of coconut and I added chocolate chips to some of the cupcakes as well. Anyway, thanks for this great recipe. Wonderful, JOsey! Thanks for taking the time to comment ! I have made picture of the batter. Could you tell me if that’s what it should look like? I made one tray of them already and they did not grow at all. I’d say I did not do them properly. I swapped coconut oil for the same amount of butter and agave nectar for 2 x desert spoons of xylitol, but this worked fine. I even added a bit more almond milk and cacao powder to the last couple to make some chocolatey ones with success. Definitely my new favourite , thanks again. I am thrilled to hear it, Izzy! I’ve just gone low/zero carb in recent times and stumbled upon a lot of coconut-flour based recipes. Your cupcake recipe seems utterly easy and scrumptious to make. I would however, like to cut out the sugars totally if possible. Do you know if they will turn out right if I were to use a natural sweetener like Stevia in place of Agave syrup or any other sweetener? I am not sure how that would come out. But you will definitely need to replace the volume of the syrup with something else (perhaps unsweetened applesauce?) if you use stevia. Let me know how it goes! I made these a couple of days ago and they were the best coconut flour recipe I’ve used so far! As I can’t have egg whites, I subbed 2 chia seed eggs, but they still tasted amazing! I am so glad to hear that the chia eggs worked, Loanna! I triwed flaxseed meal without success, so great news that chia worked. I know other readers will appreciate it, too! Could I use banana and/or applesauce to sweeten these? I am not sure how that would work, Tianna. You would have to do some experimenting. How would I have to alter the other ingredients if I wanted to use apple sauce or another pureed fruit instead of agave nectar to sweeten? You made need to do some trial and error experiments. Coconut flour is tricky when it comes to making substitutions; I would give it a try. but I am not sure how it will turn out. You are so welcome, Kaz! First time baking with coconut flower, and might I add, what a treat! I made these for my Mum’s birthday and she LOVED them! I also added white chocolate chips which made these sweat little cupcakes even more sweet. So, when I remade them with my best friend we put in only about 1/3 cup of white chocolate and didn’t put any frosting on them. They were sooo perfect! Thank you so very much for share this beautiful recipe! The whole family is gluten free now– I made these and everyone (including me) loved them. I made the chocolate ganache as well. The recipe worked so well– I followed it to a T. I’ve been thinking about ways to customize these but I don’t want to screw them up! I would really like to make these with a surprise filling…possibly using coconut cream as a base for that. there’s no way to screw that up since I’d be adding that after they’re done. Just gotta get a good recipe for cupcake filling! I would like a good icing for these as well…and topped with flaked coconut of course! 🙂 Wonder if icing could be accomplished with coconut cream rather than butter…Gonna go find out! Can I just say how amazing these were?!?!?! I have been experimenting with coconut flour for a long time (I normally stick to almond flour), and these were a hit! I made them yesterday, and by request I am making them again today lol! Thanks for the awesome recipe! Just made this for my daughter birthday party. It was delicious!! I doubled the recipe and made a cake in a 9×13 pan. Used 1 1/2 C sugar instead of honey and used almond milk for nondairy alternatve. Yum yum!!! Thank you for this recipe!